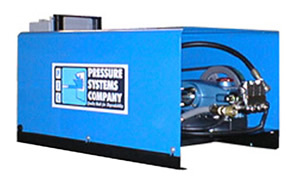 Product image of our Electric Heated (Hot Water) Pressure Washing Systems. We provide high pressure pumping and power washing systems for use in commercial and industrial cleaning applications. Our commitment to design excellence and quality workmanship, supported by qualified and responsive personnel, ensures superior performance in your high pressure cleaning or pumping application. Cold Water Bypass System, instant change from hot to cold water applications. 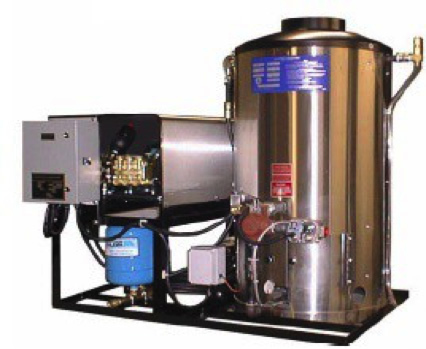 Cold Water Blasting System (to bypass the heater for cold water blasting applications) includes extra 50' x 1/2" high pressure hose and water blast gun with side handles. Portable Cart Assembly for electrically heated units c/w 6" locking casters and push handle. Heavy Duty Cart (Trolley) Assembly c/w heavy duty frame, 6" locking casters, push handle or tow bar, allows for mounting of extra equipment such as hose reels etc. Surge Relief Assembly (must be installed on the domestic water supply when the supply line has a back flow preventer, pressure reducing or check valve present). Nitrogen Charged pump pulsation Surge Arrestor. Cleaning Station assembly, (for multi user applications) c/w 1/2" ball valve and hose quick connect. 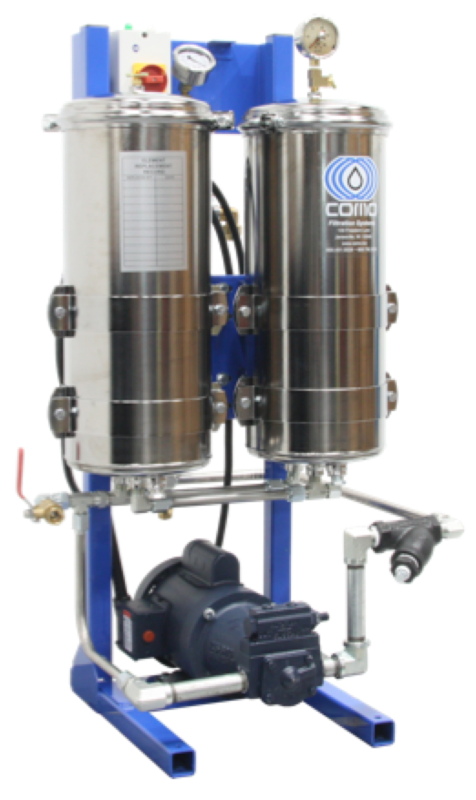 Chemical Injection Station, (for multi user applications) c/w adjustable chemical injector, wash/rinse control valve and swivel connection. Chemical Station, (as above) housed in lockable stainless steel panel. Less Construction Delays & Costs - During construction phase of building an electric unit will reduce installation time, costs, and eliminate delays commonly associated with these issues. The use of an electric pressure washer will reduce the number of tradesmen needed, as well as the permits needed to install the system. We can install the electric unit with just an electrician. The installation of a gas-fired pressure washer requires two additional permits: a HVAC permit for the roof penetration and a gas-piping permit. Greater Reliability - Electric units are, in general, much more reliable than their gas-fired counterparts. Typically, the fireside of the pressure washer requires more service and a licensed gas contractor to fix the system. 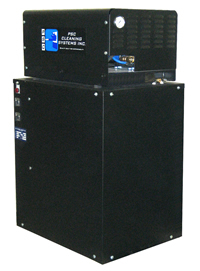 The electric unit eliminates main gas valves, a pilot gas valve, and a gas valve main controller. These items are the source of problems which prevent operators from washing equipment. Less Liability - No gas means no fire. If part of the gas controller fails, there exists the possibility of explosion, or a burned employee. Lower Operating Costs - Due to a recent rise in natural gas prices, it costs less to operate an electric unit than a gas/propane unit.